Commonwealth and NSW environmental water holders have agreed to deliver environmental water to the mid-Macquarie River and Marshes between winter and summer 2018-19 to maintain the ecological health and resilience of assets in the catchment. 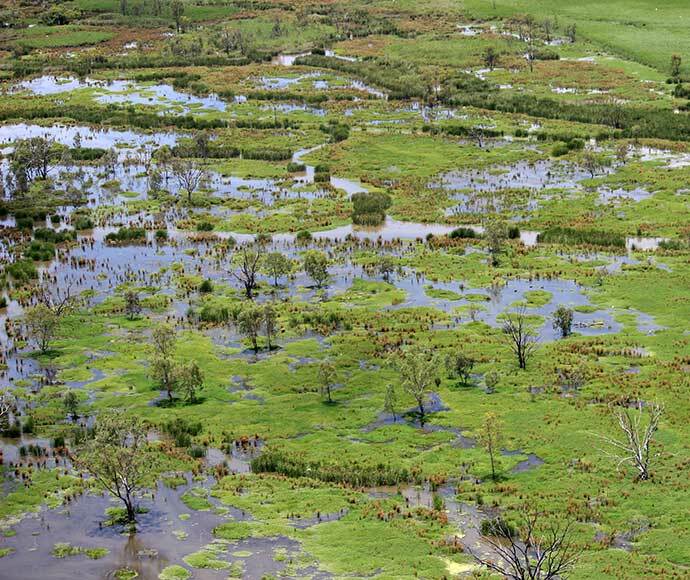 Environmental water will also help to maintain and improve the condition of wetland vegetation, and will provide benefits for native fish and waterbirds. 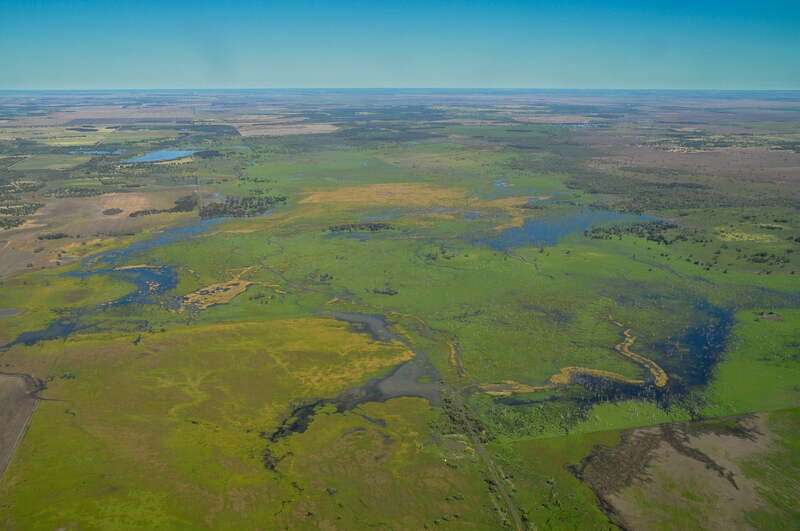 The Commonwealth and NSW environmental water holders have agreed to deliver up to 60,000 megalitres (ML) of environmental water to the Gingham and Lower Gwydir wetlands in 2018-19. This watering event aims to help maintain the health and resilience of the Gwydir Wetlands during the current dry conditions. The delivery will support habitat and food sources for native fish, frogs, turtles, and waterbirds. Environmental water delivery commenced in mid-July, with the initial delivery pausing in late October to allow for harvest. Once harvest is complete environmental flows will likely resume during summer to build on outcomes from the spring delivery. Up to 20,000 ML of Commonwealth water for the environment will be delivered into the Mallowa Creek during the 2018–19 water year. This water will improve the health of wetland vegetation along the length of the system. Water for the environment that is currently being delivered will meet the water requirements of more than 2,000 hectares of remaining wetland vegetation and enhance the condition of waterbird feeding habitat. These flows also support native fish populations along the Mehi River upstream of the Mallowa Creek offtake. Deliveries will be closely monitored and adjusted if necessary. The delivery will also be managed to ensure water achieves the environmental outcomes efficiently. Warrabah Campground, Warrabah National Park. 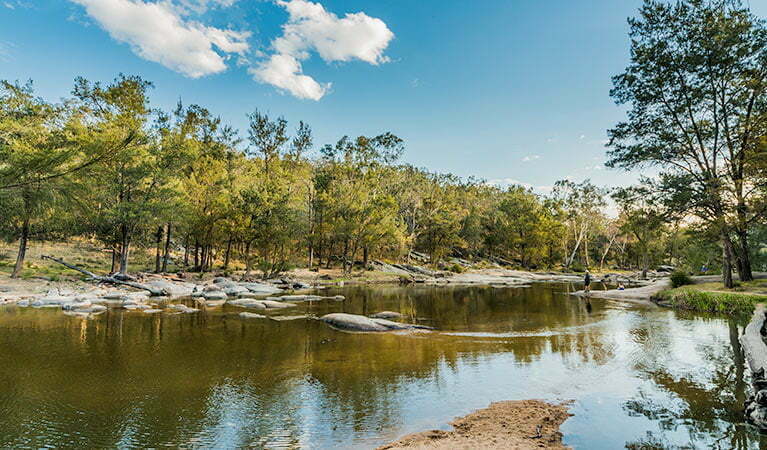 The Commonwealth Environmental Water Holder agreed to deliver environmental water to the lower Namoi River between November and December 2018, to protect the ecological health and resilience of aquatic ecosystems in the catchment. In particular, environmental water will be delivered to reconnect and maintain refuge pools, and to support native fish communities. 0 Comments on "Water for the environment catchment updates available in the Northern Murray-Darling Basin"